Google could launch its Pixel 3 Lite and the Pixel 3 XL Lite smartphones by Spring 2019 in the US, in partnership with Verizon. Google is reportedly working on a Lite variant of its Pixel 3 smartphones and could unveil them soon. However, there is no official confirmation of the same but Android Police reports, citing sources close to the development, that in the US, Google will be launching the Pixel 3 Lite and the Pixel 3 XL Lite smartphones by Spring 2019. As per the report, Google might be teaming up with Verizon for launching the smartphones but there’s no information on their pricing or exact launch dates. Some reports on the two phones suggest that they might be less powerful variants of the Pixel 3 and Pixel 3 XL with mid-range processors but could be announced with similar imaging capabilities. The Pixel 3 XL Lite was previously leaked in a video render that hints at a 6-inch display as compared to Pixel 3 Lite’s 5.5-inch screen. Both smartphones are expected to come with a full HD+ resolution screen with an aspect ratio of 18.5:9. The larger variant is also said to not feature a notch and could be announced with a 3.5mm headphone jack. 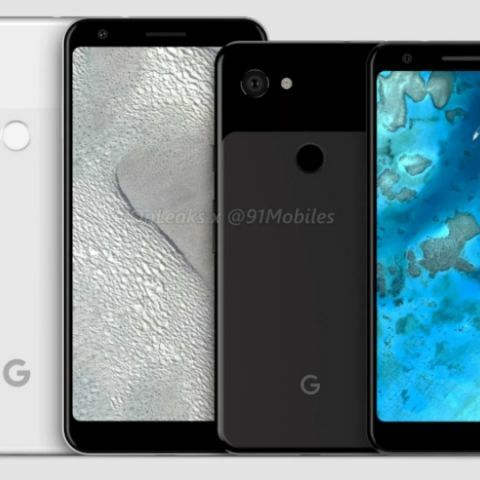 Both the Lite variants of the Pixel 3 are said to be available in only white and black colours. The Pixel 3 XL Lite could be powered by the Snapdragon 710 SoC, while the Pixel 3 Lite might be launched running on Snapdragon 670 SoC, coupled with 4GB RAM and options of two storage variants, 32GB and 64GB. The Pixel 3 Lite is expected to have a 2915 mAh battery and there is no info on the battery capacity of the larger Lite variant. The Pixel 3 Lite and Pixel 3 XL Lite are speculated to be priced between $400 and 500 (Rs 28,000 and Rs 35,000 approx).